The Nordic Autophagy Society (NAS) was founded January 22nd 2018 as a result of a transitioning from the former Nordic Autophagy Network (NAN 2011-2018, granted by Nordforsk 2011-2015). 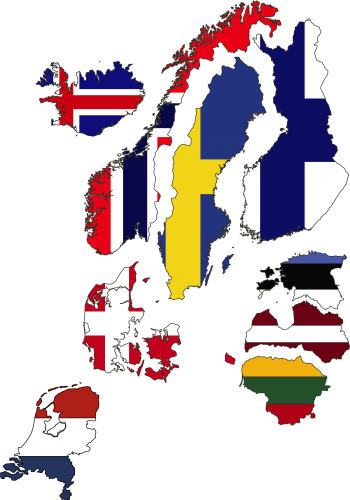 NAS aims to promote excellent, innovative and ground-breaking research in the field of autophagy in Northern European countries (Norway, Sweden, Finland, Denmark, Iceland, Estonia, Latvia, Lithuania, and the Netherlands). – visualize Northern European autophagy research and researchers internationally and get more recognition for autophagy research in the member countries. Autophagy is an evolutionarily conserved catabolic process by which cytoplasmic materials are delivered to and degraded in the lysosome. Autophagy is essential for survival, differentiation, development, and homeostasis and serves a protective function by removing intracellular pathogens, damaged proteins and organelles that could be potentially dangerous for the cell. It is therefore important to understand the mechanisms involved in its activation and regulation, but also to identify the proteins required for recognition and targeting of the various autophagic cargo for degradation.